The set contains 3 regular pigments in the shades: Naked, Blonde’s Gold, and Out All Night. 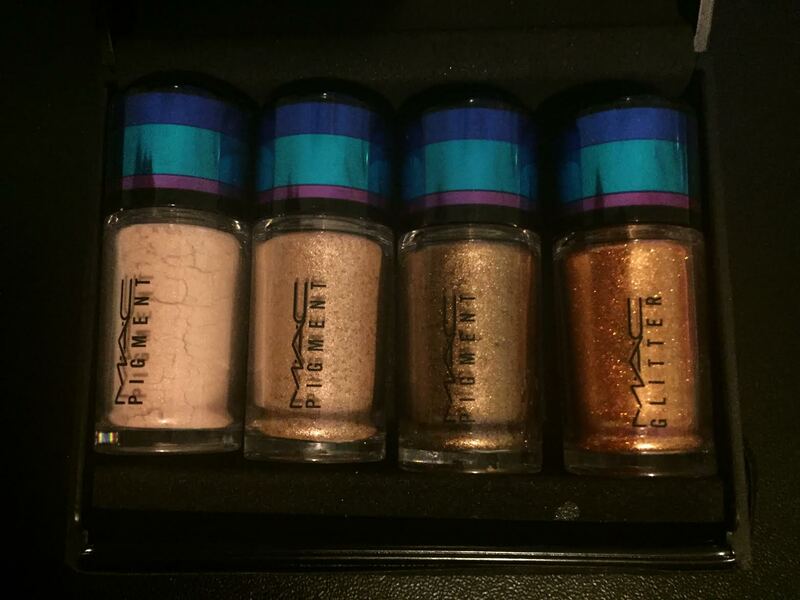 I also have a glitter pigment in the set called Reflects Bronze. 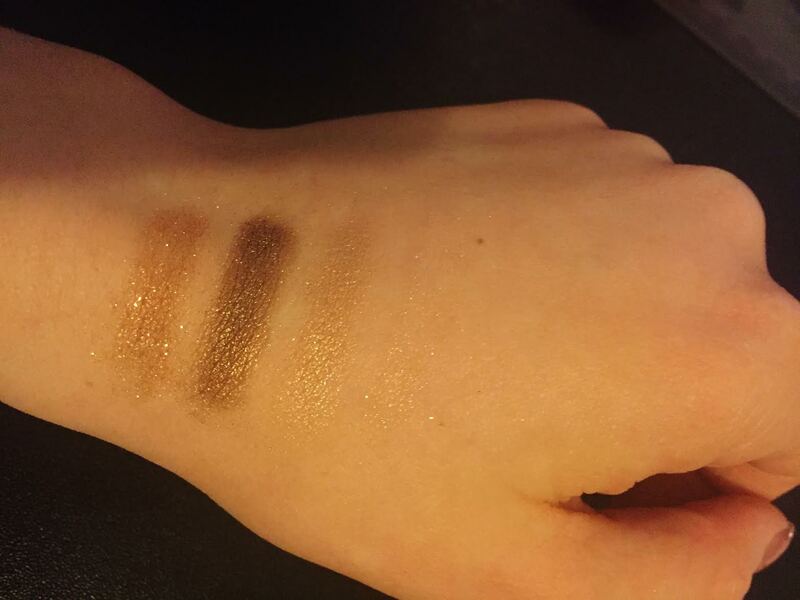 As you can see from the swatch photo, the shade naked is literally the same colour as my skin, so you can only pick up the slight shimmer of the pigment. This pigment is a great base colour to build the other shades on top of. For New Year I wore Naked all over my eyelid followed by Out all Night on the area below the crease, and then added Reflects Bronze glitter on top and it gave a beautiful look that sparkled under the lights. 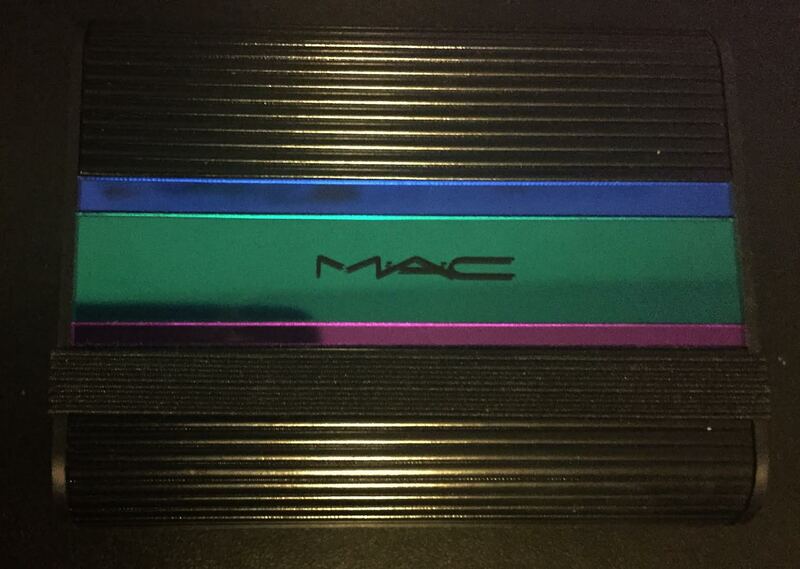 I would highly recommend trying the MAC pigments as there are so many gorgeous shades to choose from and they are long wearing as well so you don’t have to worry bout the colours creasing or fading.